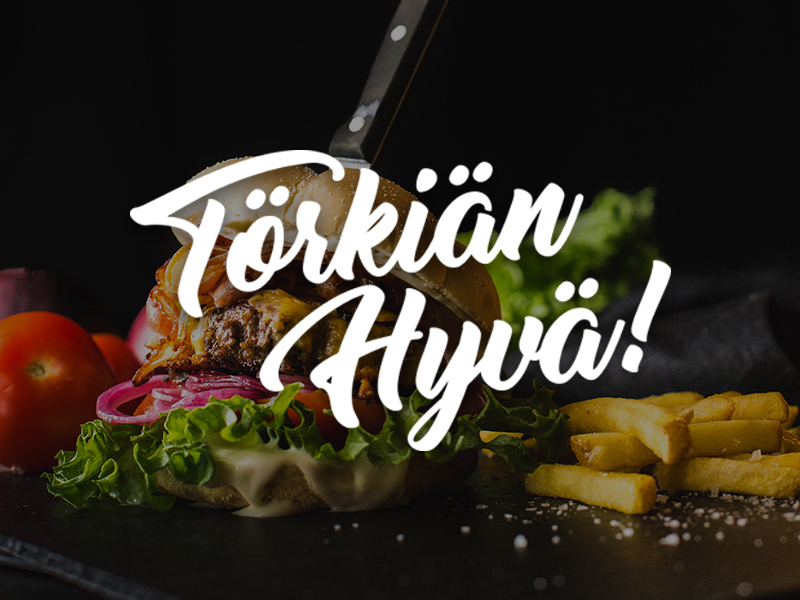 180g pure beef burger or 150g locally sourcedl organic Highland beef burger, cheddar cheese, bacon, koskenlaskija cheese sauce, salad, tomato marinated red onions and French fries. 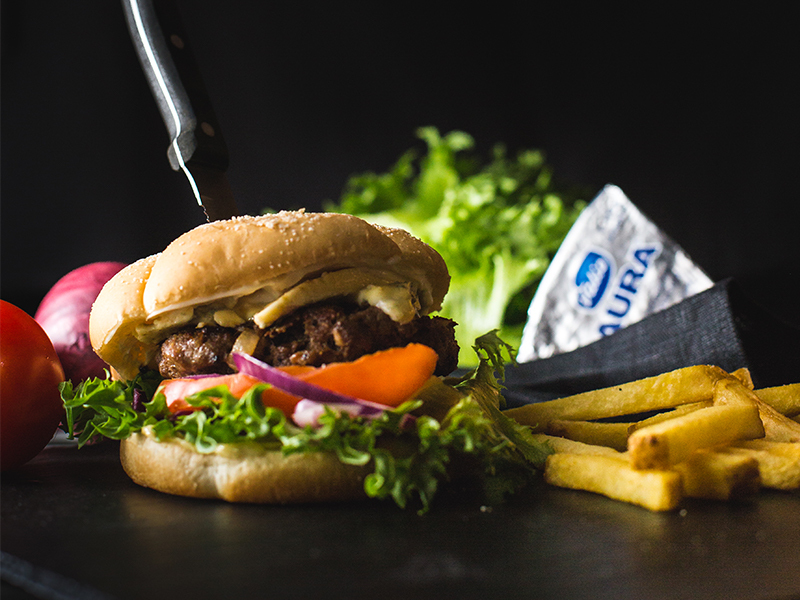 150g locally sourced Highland beef burger, aura blue cheese slice, mustard mayonnaise, salad, tomato, marinated red onion and French fries. 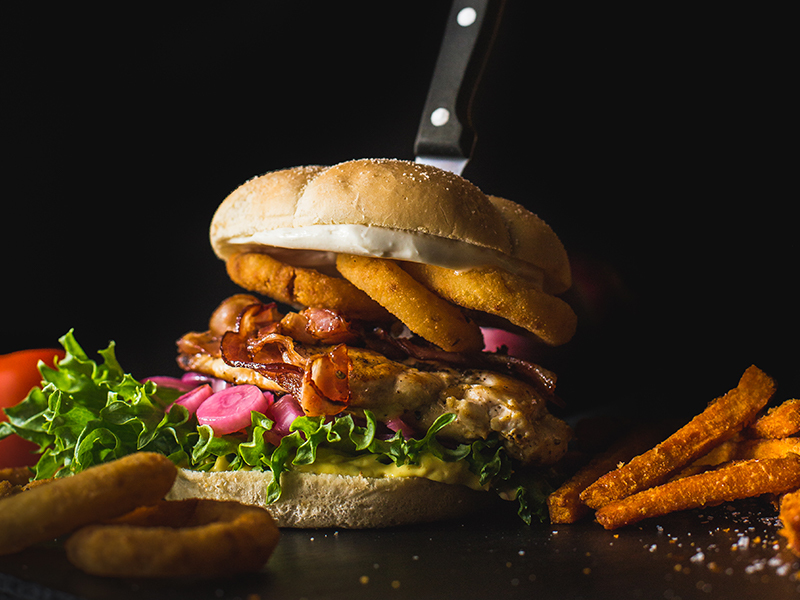 Grilled chicken, onion rings, bacon, mango sauce, salad, tomato, marinated red onion and sweet potato fries. 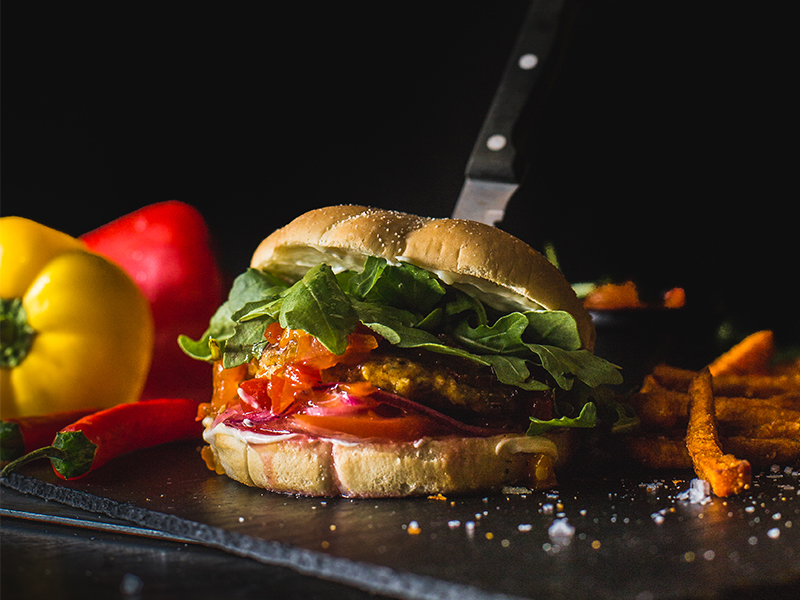 Vegetarian burger, devil’s jam, vegan mayonnaise, rucola, tomato, marinated red onions. 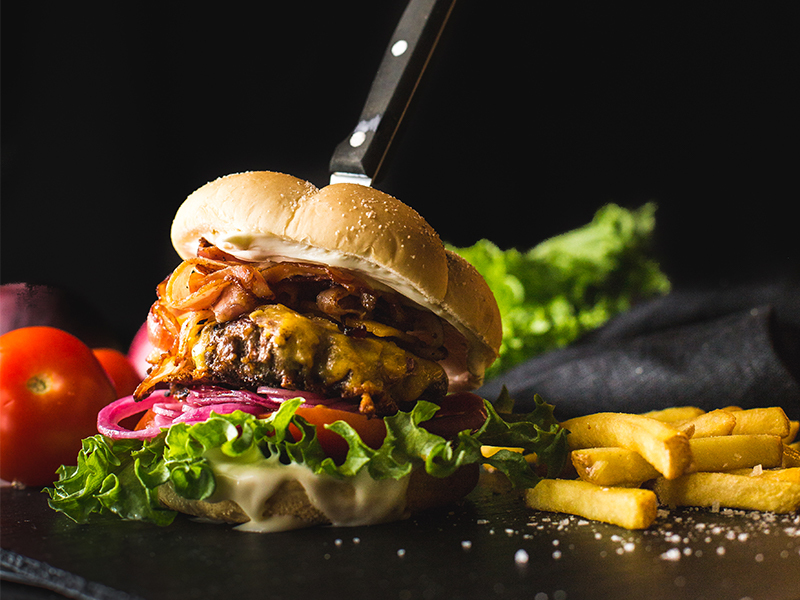 Locally sourced Highland beef burger, cheddar cheese, tomato, salad, ketchup, mayonnaise and french fries. 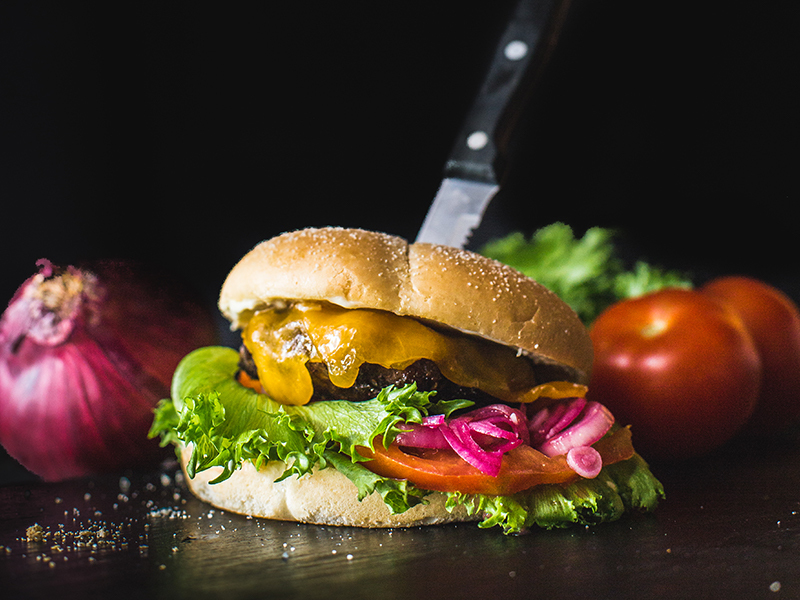 Burgers are also available as gluten free. 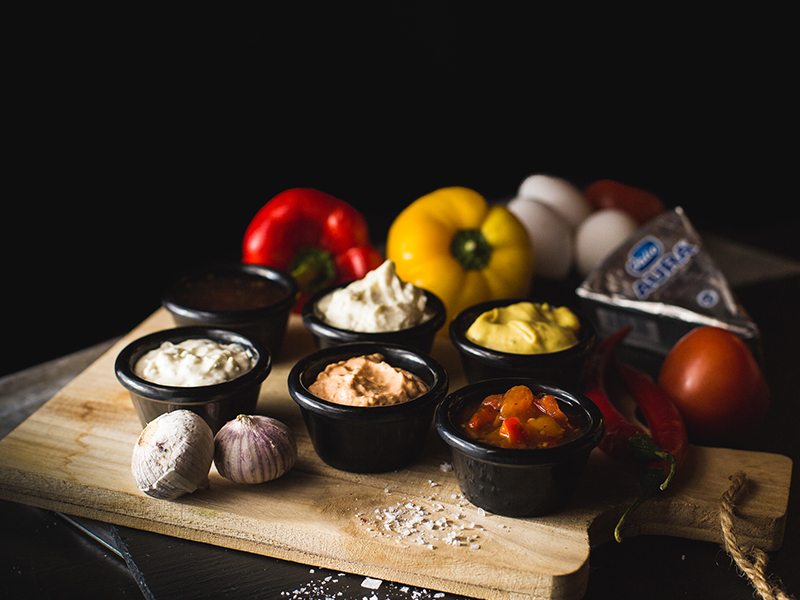 Garlic dip, paprika dip, curry-mango dip, devil’s jam, sweet chili dip, blue cheese dip, hot chili dip, herbal oil, bbq dip.